This past week (Thursday 4th - Sunday 7th) saw the return of the ‘Giant Spectacular’ show to Liverpool for the third and final time. 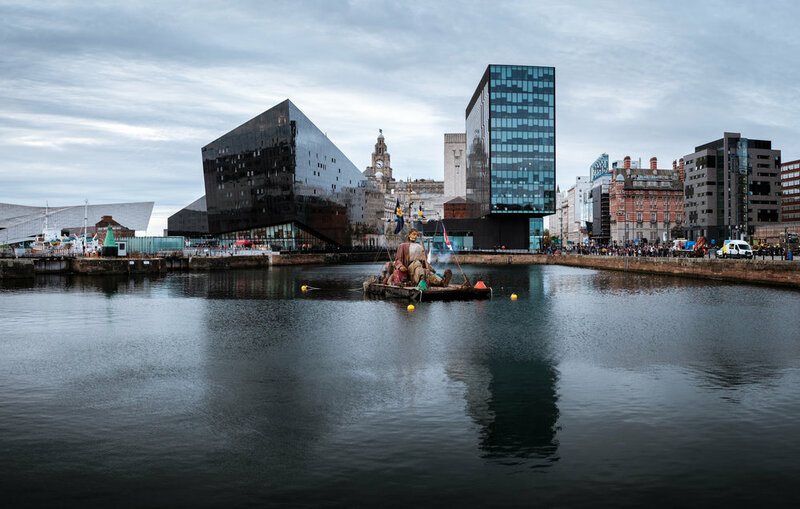 This visit coincided with various events throughout the year to celebrate the 10th anniversary of Liverpool’s European Capital of Culture. The first visit by the giants was back in 2012 and the second in 2014. If I remember correctly, the event has become much bigger and popular since the first event as it was a lot easier to move around for the first event! Some of the crowds for this year’s event were like nothing I’ve ever seen or experienced before. 2012 - Racing goggles being placed on the Little Girl Giant. 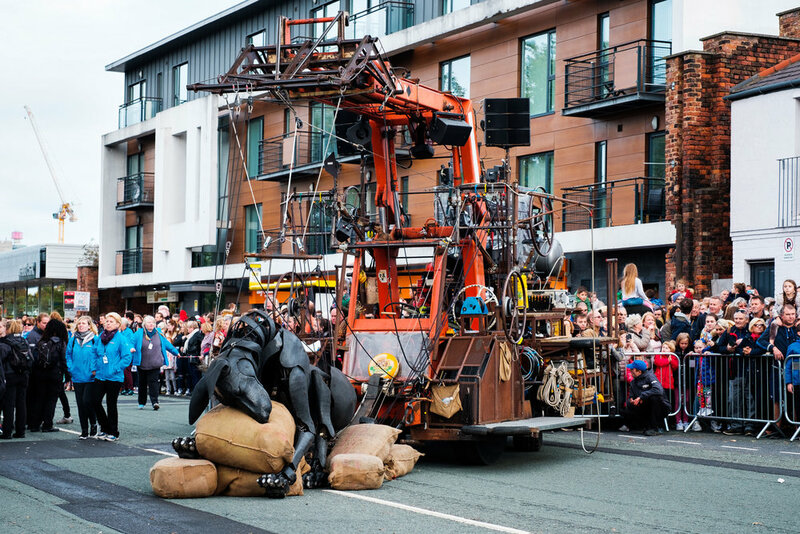 2014 - The Granny Giant going up Mount Pleasant. 2014 - The Little Girl arriving for a siesta in front of the Queensway Tunnel. 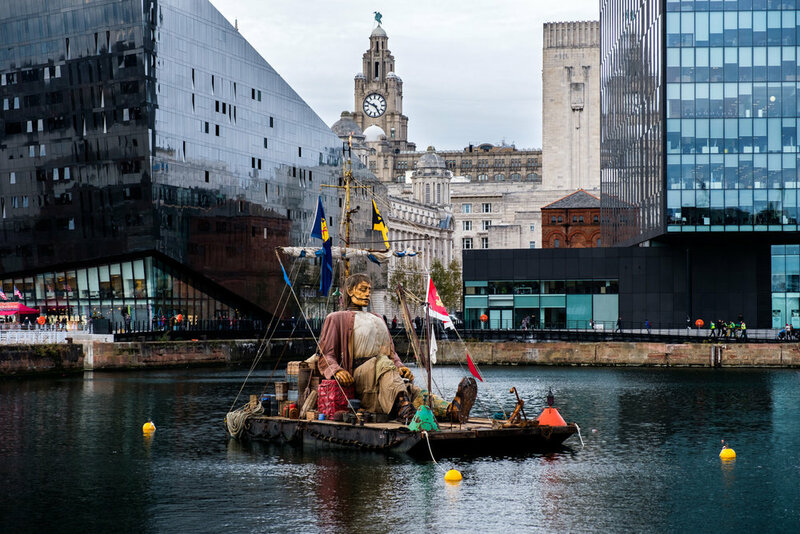 This year Liverpool welcomed The Giant, the Little Boy Giant, Xolo the dog and (in a last minute surprise appearance) the Little Girl Giant. The Giants had also left their mark on the city; dotted around the city centre were a few sights such as a bus cut in half with a giant kitchen knife! An Arriva bus sliced right down the middle by a giant knife! 2018 - Silhouette of the Little Boy Giant and Lilliputians making their way along The Strand. The Giant and Lilliputian (bottom-right) marching down Chapel Street. The Giant stopping for a siesta on Sefton Street. Xolo the dog also taking a nap. A huge crowd awaiting the finale near Canning Dock. I’ve never experienced a crowd of this size and in a slightly strange place - on what is typically a busy dual-lane road. You couldn’t move! The crowd eager to get their shot! The Little Girl Giant surprising the crowd with a last-minute appearance. The Giant arriving to the finale spot. Lilliputians riding on top of the Giant’s crane. 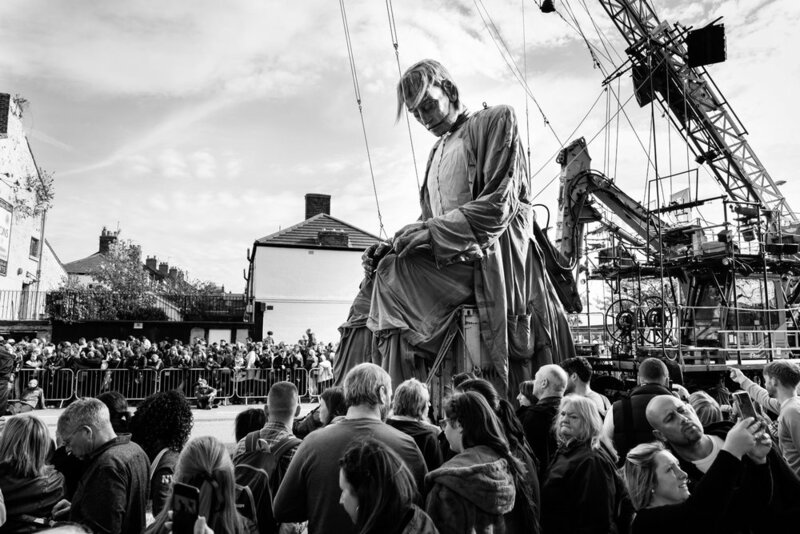 …and that was it for the giant’s final visit to Liverpool. Thanks for taking a look at my blog. It was tricky to get decent photos in amongst the mad crowds but I was happy with a few. Did you get to see the giants? Did you enjoy it? Print giveaway time! Let me know in the comments below which is your favourite photo and why - I’ll pick my favourite comment as the winner. Get your answer in by midnight Friday (12th) to be in with a chance. Good luck!